Strategically important to the complete surveillance systems envisaged by Foodwise and Harvest 2020. Shutdown would mean a massive loss of data and delayed response to any outbreak of animal disease in a third of the country. 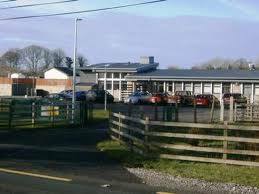 A local TD has warned that the North West won’t stand for the wind down of Sligo’s veterinary laboratory. The facility, says Fianna Fail Deputy Marc MacSharry is seen as crucial to the complete surveillance systems envisaged by Foodwise and Harvest 2020. “A closure would mean a massive loss of data and a delayed response to any outbreak of an animal disease in a third of the country. Insisting that the laboratory “must be kept open,” he said the maintenance of the operation had been a matter of concern going back several years. “In 2015 as a Senator I was pursuing the issue of a proposed closure by the then FG/Lab Government of the Sligo Laboratory. Clearly, political expediency with a General Election on the horizon back in 2015 prevented then Minister Coveney from proceeding with their planned closure of the lab. “Sligo is of strategic importance to the complete surveillance systems envisaged by “Foodwise”, “Harvest 2020” and the review group. Our Lab is covering the whole of the North West and, as it showed in a previous survey, is utilised by its customers located closest to it. A closure would mean a massive loss of data and a delayed response to any outbreak of an animal disease in one-third of the country. “With regard to Health and Safety and Biosecurity concerns, questions have to be answered. Firstly, who determined these and what criteria and data did they apply? Sligo Regional Veterinary Laboratory was refurbished and enhanced only four years ago and is located far enough from any public building (like a school etc.) not to justify these concerns. “A Collection Service for post mortem is mentioned to replace the local service. The idea was taken from a different EU country i.e. the Netherlands. However, two important aspects were not mentioned. In the Netherlands, the majority of farmers would be full-time farmers and available for the collection service. Also, there would be better infrastructure to make this service function seamlessly. In the North West of Ireland, the majority of farmers are part-time farmers through necessity given small holdings, longer winters and poorer land limiting agricultural activity to grazing, suckling and dairying. They would also rarely be available to give a detailed case history to the collector on behalf of a centralised laboratory in Athlone or elsewhere. “Without an accurate and up to date history the performing Veterinarian doing Post Mortems will not be able to specify what to look for, unless obvious. “Important detail may be lost, and there will be diagnostic failures. This impairs the excellence of our Veterinary Laboratory Services and will lead to an impaired surveillance system. “Collection services will delay the confirmation of any diagnosis. Cross contamination and misshapen carcasses could be another issue arising from that service. “In addition, a helpline to filter out cases important for a surveillance system in order to deal with an increased caseload will mean the loss of data. Individual cases of zoonosis might be missed because they will not be investigated. “The Sligo Regional Laboratory is often used to get blood results within 10 hours of cases seen by local Vets. This is very important for a diagnostic approach and results in better Animal Health and Welfare. Diagnosis can be reviewed sooner, and animals retreated, if necessary. Very similar to any outbreak situation. A quicker result will lead to less animal welfare issues because an outbreak can be dealt with sooner. “The Staff in Sligo Regional Veterinary Laboratory are very dedicated, and the quality of service cannot be increased by quantity of staff members but by dedication. The mentioned necessity of an increase of staff numbers for a functioning Regional Veterinary Laboratory is questionable and looks more like a manufactured reason to justify closure than one which is genuinely based on international best practice or an optimum professional service. 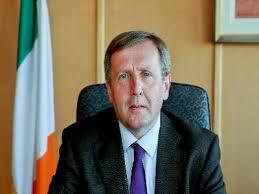 “The closure of this Laboratory will further marginalise the peripheral nature of Sligo and the North West. 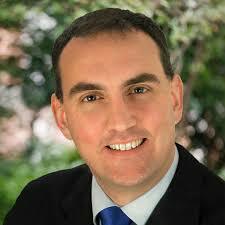 It further underpins the FG Government neglect for our area. It will further undermine the necessary supports to family farmers in our area and above all risks exposing our region to disease outbreak and threatens quality food production in our region.